Fantastic view of Perth. Not a city I know much about or even seen any photos before. Love the sun shining on the city. A wonderful capture and scene. LOvely shot Judith. So when does the Aussie Adventure come to an end? Thought I should let you know that we will be in the UK from 16 May to 25 Jun. @terryliv three more days! We leave on Tuesday for South Africa then back to UK on 2 May. Will email you. Wow! Gorgeous! 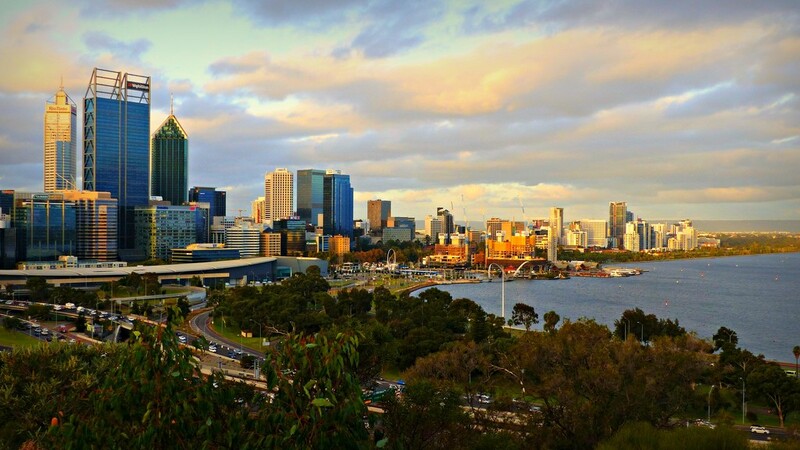 You'll likely be shocked that I have never seen a photo of the city of Perth! It's beautifully modern, but no bigger than I thought it might be! Re Helen Jane @helenhall saying that the roads look a bit busy, I only have to think back to yesterday when we came through a stretch through Orange Cty California that is 19 lanes across! We saw a car stranded on an inside lane and the person was just sitting there...as we're instructed to do...and to wait for help to arrive! Now...that doesn't look all that busy at all!